Norwich Coach Hire is the premier company for coach and minibus hire in Norwich and the Norfolk area. This medieval town offers a host of things to do and see for those visiting and for residents. Home to Norwich City FC, recently promoted to the Premier League, the famous open air Norwich Market and a host of museums and historic places of interest, Norwich is a city worth exploring. www.coachhirenorwich.net can take you wherever you want to go from the city centre of NR1 right out to N35 and picturesque villages like Topcroft in the Norfolk countryside. If a family day out to the Norfolk Broads is on your agenda, we can offer minibuses that seat 8 or if you’ve a work outing, or simply a bigger family, we can provide a coach that seats 32. We also offer a transfer service to Norwich International Airport serviced by airlines such as KLM and Eastern Airways and, of course, can provide transfers by coach for large groups to airports such as Luton and Heathrow. With experienced drivers and a range of vehicles to suit groups of all sizes, whether your journey is short or long, you will travel there in comfort and arrive in plenty of time for the purpose of your visit. With origins dating back to Roman times, the city of Norwich has a wealth of historical sites, buildings and museums which reflect the city’s development and changes through the centuries. Having once been the 2nd largest city in England, it houses Anglo Saxon and Norman buildings, most notably Norwich Cathedral and Norwich Castle. Its main trade from the middle ages onwards was wool due to the grassland surrounding the city which lent itself to sheep grazing freely on the pastures of Norfolk. The subsequent flourishing European trade brought wealth to the city which became reinvested in ecclesiastical buildings. As a result, Norwich has an excess of medieval churches that is unrivalled in Northern Europe. Touring by minibus is a great way to get around the city and surrounding countryside to see them. Norwich’s wool trade and proximity to mainland Europe led to a flourishing textile industry and brought Flemish weavers and French textile merchants to the city during the industrial revolution. This influx is commemorated in the Stranger’s Hall Museum, a Grade I listed building in the city centre. Close by are the Bridewell Museum and the Colman’s Mustard Museum, a tribute to one of the city’s greatest exports. In fact, the city’s mercantile background and history can be seen today in Norwich’s status as one of the UK’s leading retail destinations. Victorian department stores such as Jarrold’s and the Arcade vie with modern shopping centres like the Castle Mall to create a wealth of shopping choices and shoppers come from all over Anglia to bag a bargain in Norwich. 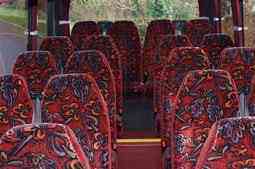 Log onto www.coachhirenorwich.net to bag yourself a bargain with one of our coaches or minibuses for hire! At www.coachhirenorwich.net we offer transportation services for a range of different occasions. If you’re a fan of Norwich City, you’ll need to be getting ready for all those Premier League away matches. Book ahead with Norwich Coach Hire and make sure the Canaries don’t fly away without you following behind! 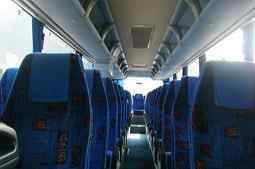 We can take bookings for large groups and provide coaches that seat up to 40. If a day by the sea is your preference we can take you to nearby Great Yarmouth or Lowestoft. With beautiful sandy beaches and activities ranging from stock car racing to sailing to greyhound racing, a day in one of these great British coastal towns makes an ideal staff outing and a memorable day for everyone. Rather than spend time looking for taxis, before, during and at the end of the night, let us pick you up and take you out in style for a night you’ll never forget. Start the evening in the Last Wine Bar in George’s Street and end up looking for Mercy in Prince of Wales Road taking in some Tiki at Lola Lo on the way and we’ll have you home at the end of the night in one piece. Take the hard work out of entertaining clients for corporate hospitality days and evenings out by hiring a coach or minibus. With minibuses that seat 8 to coaches that seat 30+ and experienced drivers, whether you are taking a group to a concert, the races or just giving your staff a well-earned treat, we can take care for all your transport needs. There’s no point in going all out for the Stag or Hen only to find that on the big day that getting to the church on time is a problem. We can cater for the entire bridal party, making sure that everyone from the bridesmaids to the mother of the bride get there in plenty of time; hats intact! 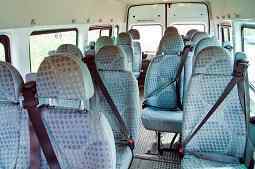 We also take bookings for school trips, airport transfers and a range of other journeys. Whatever the occasion or event, call one of our Customer Service Advisors to discuss group packages and discounts or complete our Instant Quote form to find out how we can help with all your transportation needs in the Norwich, Norfolk and Anglia areas.